For the third time Northern Lighting hosted the Northern Lighting Student Design Award, with more than 120 contributions from talents from design schools all over the Nordic countries. This year they invited young up-and-coming talents to make future design trends come alive by challenging existing lighting innovations, shapes, materials and functions. The winner, Mads Sætter-Lassen is a Master student at The Royal Danish Academy of Fine Arts, The School of Design. His design «Buddy» is a table lamp with an extra feature. The lighting object has a small functional storage unit that makes it easy to store pens, pencils or scissors on your desktop or in the hall. The shade is flexible and can be rotated in any direction making it a perfect reading light. This powder coated steel lamp has a color palette in matte green, black, grey, white and coral. The design of the multi-functionally Buddy is original; it has challenged the existing lightings innovations, shapes and function with its strong concept. 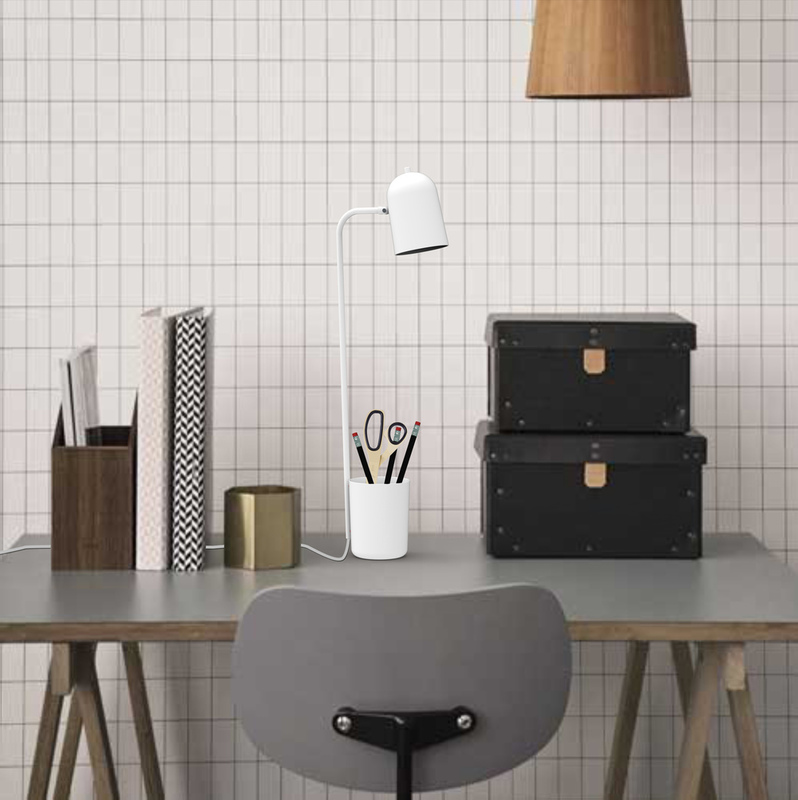 We are very proud to present this lamp as the winner of Northern Lighting Student Award 2015.